Mussaenda bushes are evergreens in the Rubiaceae family that bloom from spring to fall in mild-winter areas. The bloom colors can be yellow, red or creamy white with red, white or pink bracts or sepals surrounding the flowers. The variety M. 'Queen Sirikit' produces pale yellow to white flowers with red centers and pink bracts. There are five different species grown in cultivation and many hybrid cultivars, ranging in height from 2 feet to 15 feet tall. 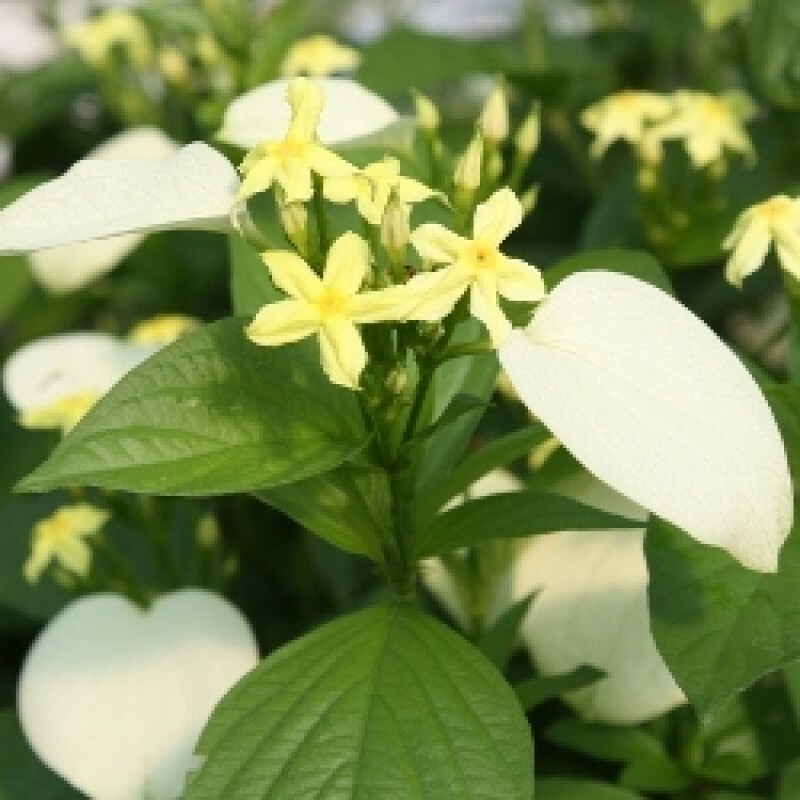 Select a Mussaenda bush that will fit comfortably into the landscape when mature. Find a planting site for the Mussaenda where it will be exposed to direct sunlight at least six hours each day. Plant it where it will receive morning or evening direct sun with shade during the hottest parts of the day for brighter bloom colors. Test the soil for pH, organic matter and nutrient levels. Make sure the soil has an acidic pH below 7. Add sulfur to alkaline soil with a pH above 7 to make it more acid. Add organic matter such as compost or leaf mold to the soil to improve the texture and nutrient levels if needed. Add perlite to improve drainage if the soil tends to drain slowly. Mix the amendments into the soil thoroughly. Dig a planting hole twice the diameter of the Mussaenda root mass with a dirt shovel in late winter. Plant it at the same depth it was growing previously. Place the Mussaenda roots into the hole and backfill with the soil that was removed from the hole. Water it generously to settle the dirt around the roots. Add more backfill soil on top if it settles below the surrounding ground level. Spread shredded bark mulch around the Mussaenda bush to a depth of 3 inches. Keep the mulch 3 inches away from the bush stems. Water the bush once or twice per week or as often as necessary to keep the soil moist but not muddy. Sprinkle slow-release balanced complete fertilizer granules around the bush six to eight weeks after planting, when it begins to grow new leaves.